Working with this SDK or planning to in the future? Make sure to subscribe to receive notifications of changes! When we update the Release Notes, you'll get a notification straight to your email of choice! Android Mobile App SDK v3.7.0 contains fixes for high priority bugs reported by customers. Android Mobile App SDK v3.6.1 contains a new API call to enable/disable SDK logs. Android Mobile App SDK v3.6.1 requires the minimum Android API version 19, SDK is compiled against API 26 and targeted API is 27. SDK logging information is not available while the host application is running in debug mode. public static void setIsDebuggable(boolean isDebuggable) Use this api to enable/disable the SDK logs. Note: SDK logging is disabled by default. To Enable it, use the above method. Android Mobile App SDK v3.6.0 contains fixes for high priority bugs reported by customers. Android Mobile App SDK v3.6 requires the minimum Android API version 19 and targeted API is 27. Unauthenticated user failed to connect when passing campaign information. Loading spinner is stuck even when conversation History is loaded. Failed to establish conversation when airplane mode was enabled or disabled multiple times while network connection was poor. TalkBack does not read agent name when a message was clicked. Resumed conversation with unauthenticated user does not show campaign info on agent side when contextId is null. "http://" was appended as prefix for customized links (Deep Links). Wrong value for unread message count on scroll down indicator. Entire structured content component receives focus when tapped. Released SDK build displays debug, info and warning logs. Links and text in agent message truncated on changing chat_bubble_padding to non-default values. Android Mobile App SDK v3.5 contains fixes for high priority bugs reported by customers. The SDK’s minimum API is 19 and the target API is 27. When using unauthenticated messaging and setting the history flag to false, in case the conversation was resolved while the SDK was in the background, the conversation screen will be stuck and the consumer will not be able to start a new conversation. SDK uses an old authentication token, even when the consumer is passed a new auth token. User conversation system info (OS Type & Device) is not updated in LiveEngage when a consumer switches between IOS and Android. Unauthenticated consumers passing campaign info cannot connect successfully. Conversation close event has been added to be triggered when hideConversation() is called. Accessibility - When Voiceover was turned on, opened Secure form can read hidden message. Multiple "Missing current dialog" appear in the logs after a consumer clears history resulting a slow connection establishment. Android Mobile App SDK v3.4 contains fixes for high priority bugs reported by customers and a new call back for leaving the conversation screen. There is one API change which will be explained in this document. 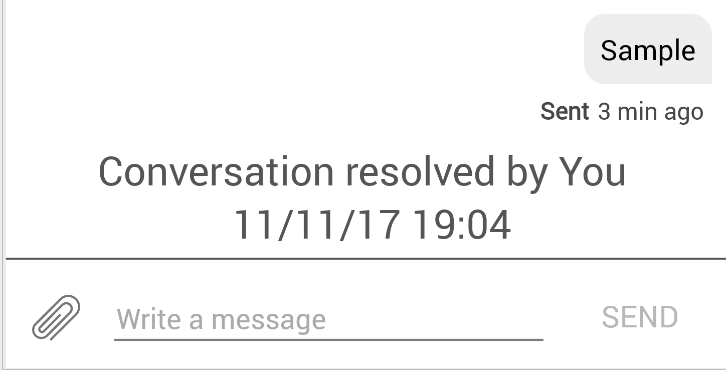 The onConversationFragmentClosed callback is returned when a consumer leaves the conversation screen. Available to all customers? Yes. When a consumer leaves the conversation screen, the call back onConversationFragmentClosed will be returned. Accessibility - When Voiceover was turned on, the Secure Forms ‘X’ button read “Unlabeled Button”. Accessibility - When Voiceover was turned on, messages inside the conversation window read as actionable items. Accessibility - When Voiceover was turned on, the Secure Form title was skipped. Monitoring APIs - SDK was not using the returned VID when querying "getEngagement" request. This might have caused a longer time for getting a response. Accessibility - When Voiceover was turned on, the talk over tried to read a blank area inside the CSAT field. 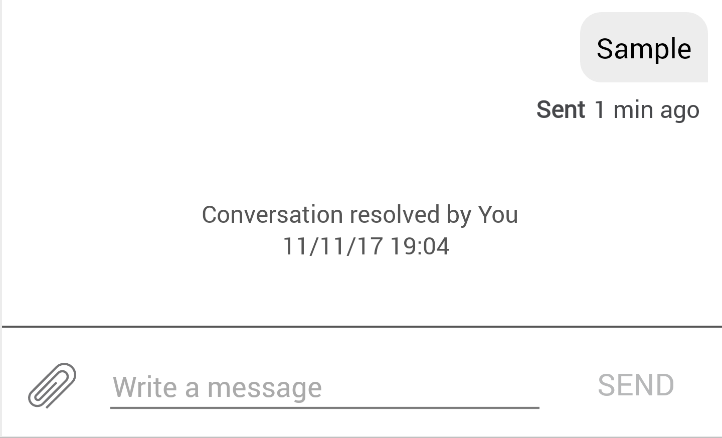 During conversation, a "no internet connection" message was displayed but the send button was enabled. Monitoring APIs URLs were using HTTP instead of HTTPS. When using registerLPPusher with authentication parameters and opening the conversation screen before JWT renewal was completed, the authentication process would go into an infinite loop. Please note the API change explained below. SetUserProfile behaveed differently on iOS and Android for the phonenumber attribute. 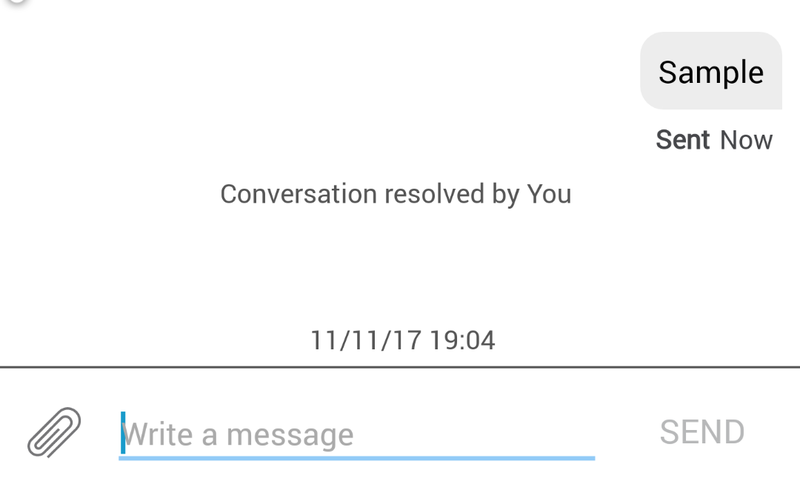 In some cases, when opening the conversation screen with a filter for presenting only the closed conversations, the “There are currently no conversations at the time” message appeared. In some cases, when the consumer went into the conversation via push notification and then out multiple times, the app could crash with IndexOutOfBounds exception. Description: When using registerLPPusher with authentication parameters for JWT renewal (JWT renewal when in background) the authentication process will go into an infinite loop. In order to solve the issue we’ve introduced a new API to separate the register to push and updating the token when in background. How to use? When JWT expires, the onTokenExpired() callback is called. If the screen is in the background the host app should use the new API updateTokenInBackground() with new authentication parameters instead of calling registerLPPusher(). Note: No change in cases where the screen is in foreground - host app should call reconnect() to renew the JWT. Android Mobile App SDK v3.3.0 contains support for the Post Conversation Survey feature, update for Google Map’s API key meta tag and addresses several bugs reported by customers. Available to all customers? No. Please contact account team. The post conversation survey enables brands to both collect feedback and measure their success from their consumers after conversations have taken place. The survey is delivered via a conversational experience to drive higher completion rates and provide consumers with the best experience possible. Brands can customize the survey to their needs, including predefined questions (CSAT, NPS and FCR), custom questions and free text, as well as the ability to configure the logic and flow from question to question. This enables brands to prove the success of messaging and compare their KPIs across different channels. Additional information about Post Conversation Survey can be found here . Update the Google Maps API key meta tag from com.google.android.maps.v2.API_KEY to com.google.android.geo.API_KEY. The Geo key meta tag is backwards compatible with V2 keys. Brands who do not specify the Maps API key meta tag in the app’s Manifest.xml, do not need to perform any change. Brands who specify the the Maps API key meta tag in the app’s Manifest.xml as com.google.android.maps.v2.API_KEY should change it to com.google.android.geo.API_KEY. Improper exception handling would cause the host application to freeze. Sporadic crashes when conversations are initiated, when the 3.2.1 version of the Mobile App SDK was used on Android platform version 4.4.2. Consumer’s OS parameter is missing from the agent workspace. Redundant animation to indicate new messages from agent, when using ("show_agent_typing_in_message_bubble”). When a message fails to be sent, subsequent messages may also fail when they should be re-sent successfully. Invalid JWT authentication token causes host application to freeze after retry mechanism has been complete. Not registering to push notifications will result in a failure to logout from the SDK. getNumUnreadMessages function returns wrong value after clear history is performed. The host app crashed when it tried to access the application context, after process is killed by Android OS. When using registerLPPusher with authentication parameters and opening the conversation screen before JWT renewal was completed, the authentication process will go into an infinite loop. In some cases, the assigned agent details are not presented in the CSAT form. This release of the Android Mobile App SDK v3.2.2 is primarily focused on assessing critical bugs reported by LivePerson’s support & solution teams. This release version does not include new features or behavior changes. 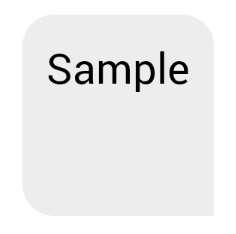 Redundant animation to indicate new messages from agent, when using show_agent_typing_in_message_bubble. Audio/Image message fails to be sent, when it is the first message in the conversation. Infrequent crash when initializing the SDK for Authenticated mode and providing an empty/null JWT. 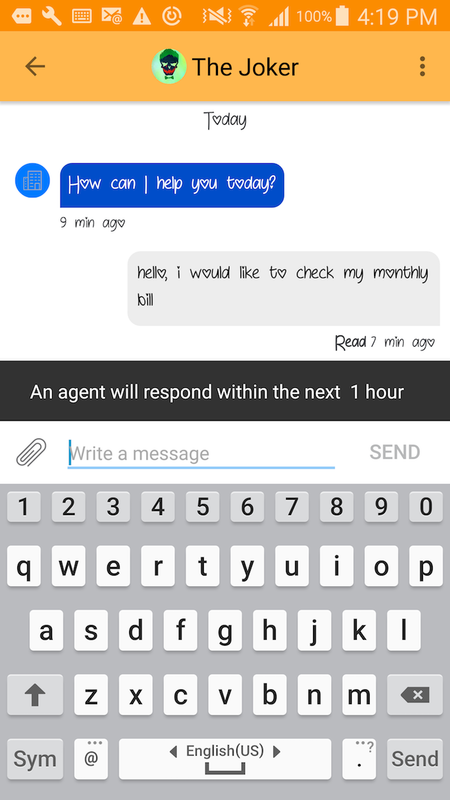 Conversation is not auto-scrolled to bottom when sending a message, if the Agent is typing and show_agent_typing_in_message_bubble is set to true. When an expired authentication token is used to register for push notifications, the registration does not complete and OnTokenExpire does not trigger Customers should notify support if they are seeing any increase of frequency or impact from any of the following issues. Available to all customers? No. Please contact your account team. Consumers are now able to send Audio messages to brands which makes the communication even easier. Brands can communicate with their consumers in an unauthenticated manner while being able to leverage additional LiveEngage capabilities such as Campaigns for Messaging. Quick Replies enrich the consumer experience by using rich text interactions that guide the consumer throughout the conversation. The consumer is presented with number of brief answers that can be selected in order to navigate the conversation in the right path. 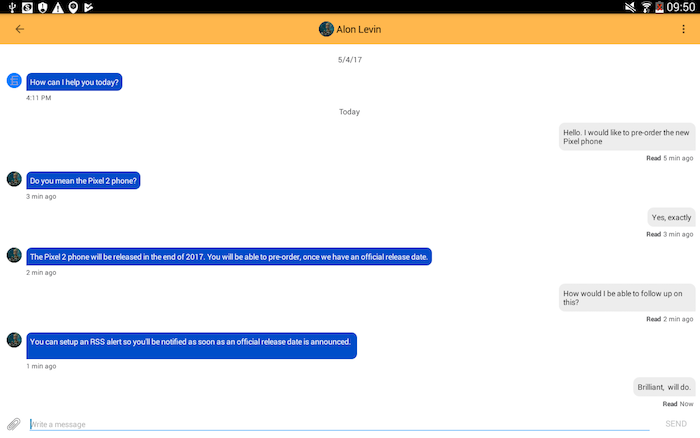 As Quick Replies contain predefined values, it can dramatically improve communication with Bots and improve both consumer experience and operational efficiency. Structured Contend experience is enriched with the Carousel allowing more capabilities, more use cases and moving agents one step forward in being able to provide end to end assistance. The Carousel consists of more than one card at a time, side by side and the consumer can swipe between cards. The SDK allows Brands to customize the SDK even more, giving a personal touch to their customers. A new way for Brands to set their own background to conversation to add a more personal touch. As in fragment mode, LivePerson does not have control over the Activity which contains the conversation window fragment, this feature works only in Activity mode. In Fragment mode, brands can add the background picture on the Activity window. lp_accessibility_voice Accessibility on the mic button "Voice"
lp_new_unauth_user_dialog_title The title of the presented dialog when the identity is expired. "New Conversation"
These are the main feature releases available in the Mobile App Messaging SDK version 3.1 for Android. The addition of campaigns for mobile app and web messaging will allow brands to manage their engagements easily and efficiently across these channels, targeting customers based on unauthenticated attributes or locations and routing them to a desired skill. Being able to track customer activity in all areas of the brand app and provide information on these interactions to LiveEngage boosts agent efficiency and enables more accurate reporting. Added to Liveperson.initialize() → InitLivePersonProperties contains new MonitoringInitParams object Added new optional MonitoringInitParams object. Brands who wish to use Monitoring capabilities & campaigns should add the required parameters. The SDK can be initialized once without MonitoringInitParams and then have another initialize call using these params. CampaignInfo was added to ConversationViewParams (used in showConversation() and getConversationFragment()) Added new optional CampaignInfo object to be able to pass a new campaign information to conversation. Campaign includes Engagement info which allows to control the consumer's routing. New BadArgumentException was added. CampaignInfo has three mandatory members: campaignId, engagementId and engagementContextId. If constructing CampaignInfo with one of them null or empty BadArgumentException is thrown. Please note: while the APIs are already available in the SDK, the backend will be available in mid-April. Please consult your account team before using the APIs. To enhance control of customer data retention, scalability and performance, and support the EU’s General Data Protection Regulation (GDPR), open conversations will be loaded from a real time service while closed conversations will be loaded from a history service. The change will be seamless for brands who upgrade to SDK version 3.1. Brands choosing not to upgrade to SDK v3.1 will be able to view the conversation history from the last 14 days. The history stored on the consumer’s device will also be available. 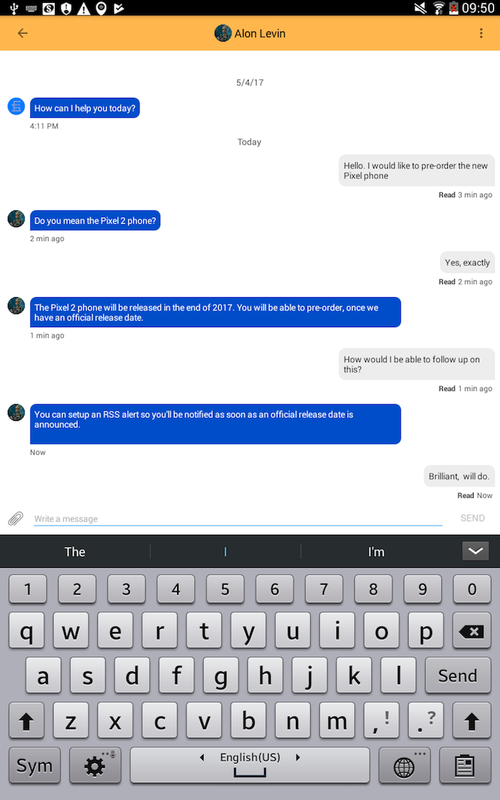 New APIs will give brands control over the conversations presented in the conversation window. For example, brands can choose to present only the last 180 days of conversation history. These APIs can be used together with getengagement (Monitoring APIs) to decide how to present conversations history according to whether there is an open conversation or not. For example, if there is no open conversation, brands can present a ‘View conversation history’ button which will present only the closed conversations from the last 180 days. When using historyConversationsMaxDays, LPConversationHistoryMaxDaysDateType will decide if to filter by the conversations' start date or end date. When not providing a value, startConversationDate will be the default. The Mobile App Messaging SDK v3.1 exposes additional branding configuration parameters. The new parameters may control text, padding of conversation UI elements and more. Parity with iOS in the Edit Text box. The max lines is declared at 3. meaning when the text suppresses the length fit for 3 lines the first line will be hidden. A full list of supported and certified devices can be found in the LiveEngage System Requirements document. Backend update: This feature requires an update to the backend. Backend enablement: This feature requires items to be toggled on in the backend. Backend configuration: This feature requires configuration in the backend. SDK enablement: This feature requires items to be toggled on in the SDK. SDK configuration: This features requires items to be configured in the SDK. Available to all customers? No. Contact support for more details. Certificate Pinning allows increased security on top of the commonly used SSL protocol for mobile apps. It assists to prevent certificate hijacks and mitigates implications from compromised certificate authorities. By using Certificate Pinning, apps have an additional validation of the server’s certificate. The object mCertificatePinningKeys was added to the object LPAuthenticationParams. Please note: using the new object without completing the on-boarding process will result in failures while trying to communicate with LivePerson’s servers. The Mobile App Messaging SDK v3.0 exposes additional branding configuration parameters. New parameters may control text, padding of conversation UI elements and more. <dimen name="sticky_timestamp_text_size">@dimen/small_text_size</dimen> Defines the Date Separator font text size. <dimen name="sticky_timestamp_margin_top">8dp</dimen> Defines the Date Separator top spacing. <dimen name="avatar_margin_leading">@dimen/margin_regular</dimen> Defines the remote avatar leading spacing (from the left edge to the avatar). <dimen name="avatar_margin_trailing">@dimen/margin_regular</dimen> Defines the remote avatar Trailing spacing (from the avatar to the bubble). 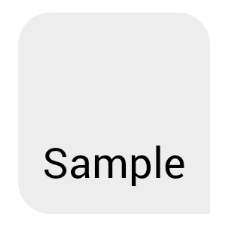 <color name="enter_message_top_separator_color">@android:color/darker_gray</color> Input TextView top border color. The default color is clear. <bool name="enter_message_divider_visible">false</bool> Determine if the Enter Message edit text divider is visible or not. <dimen name="bubble_system_resolved_text_size">@dimen/small_text_size</dimen> Defines the Resolved system message text size. <dimen name="bubble_system_resolved_padding">@dimen/margin_half</dimen> Defines the Resolved system message padding. <dimen name="bubble_system_resolved_line_spacing">0dp</dimen> Defines the Resolved system message line spacing. <dimen name="bubble_system_resolved_separator_padding_bottom">@dimen/margin_half</dimen> Defines the Resolved system message Separator padding. <drawable name="lp_progress_bar_image"></drawable> Defines the Progress bar image. If empty, the default Progress bar appears. These are the main feature releases available in the Mobile App Messaging SDK version 2.9 for Android. The Mobile App Messaging SDK v2.9 was built and certified within the host app on Android API level 26. The Mobile App Messaging SDK should remain on Android API level 25, while the host app may use Android API level 26. The SDK Android API level should remain on level 25. Please do not change SDK Android API level to 26; support for this level 26 will be provided in 2018. The Mobile App Messaging SDK v2.9 exposes additional branding configuration parameters. <color name="lp_header_background_color">@android:color/white (#FFFFFF) Day/date sticky header background color. <color name="lp_header_text_color">@color/lp_dark_gray_1 (#46474a) Day/date sticky header text color. <color name="lp_textColorSecondary">@android:color/black (#000000) Color of menu button and back arrow on toolbar (Activity Mode). <dimen name="brand_bubble_padding_bottom">8dp Brand welcome message bubble (brand) bottom spacing. <dimen name="brand_bubble_padding_left">8dp Brand welcome message bubble (brand) left spacing. <dimen name="brand_bubble_padding_right">8dp Brand welcome message bubble (brand) right spacing. <dimen name="brand_bubble_padding_top">8dp Brand welcome message bubble (brand) top spacing. <dimen name="bubble_system_resolved_line_spacing">0dp Resolve message spacing from above. <dimen name="bubble_system_resolved_padding">@dimen/margin_half (4dp) Resolve message spacing from below. <dimen name="bubble_system_resolved_text_size">@dimen/small_text_size (12sp) Resolve message text size. <dimen name="chat_bubble_padding_bottom">8dp Conversation message (agent / consumer) bottom spacing. <dimen name="chat_bubble_padding_left">8dp Conversation message (agent / consumer) left spacing. <dimen name="chat_bubble_padding_right">8dp Conversation message (agent / consumer) right spacing. These are the main feature releases available in the Mobile App Messaging SDK version 2.8 for Android. The beta version was released in v2.7 (for a full description, refer to the v2.7 release notes). The SDK delivers structured content enablement only; the feature will be made fully productive in October. In v2.8 the feature is enabled by default in the SDK. The dictionary of template elements can be found here. Until rollout is complete, the structured content capability in SDK v2.7 was flagged as a Beta feature. The feature has an enablement toggle in the SDK which was disabled by default. In SDK v2.8, it is enabled by default. The toggle may be switched on or off as part of the SDK implementation within the host app, however it is highly recommended not to release the SDK in the host app with structured content enabled until end to end flow has been fully tested on the brand’s account. Automatic Messages (AKA System Messages) are predefined messages about events that occur in the conversation and are sent to the consumer as the events occur. Their purpose is to gain the consumer’s trust in the messaging channel, by setting expectations and giving the consumer visibility over the agent’s availability. Auto messages are triggered upon specific events that are detected by the system (e.g. the consumer opens a new conversation, the conversation is transferred to another agent, the time to respond is updated, etc.). When the auto messages are sent, they are displayed to the consumer and the agent within the conversation transcript, and they also appear in the conversation’s history both on the consumer’s side and in LE. Messages are supported in all LiveEngage languages. The content of each message can be edited by the brand. Skill variation is supported, including enabling/disabling the messages for each skill. Certain messages can have different parameters, such as the time the conversation is in the queue before the message is sent. 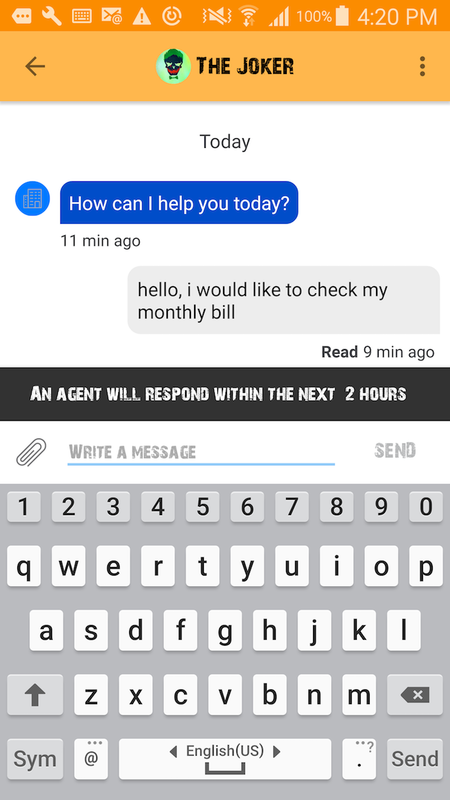 Dynamic text can be added to the messages, which will be replaced with a runtime value, such as agent name. Auto messages do not affect whom the conversation is pending, nor the time to respond. They are filtered out of the reports by default (unless manually included). Auto messages will be enabled for early adopters upon release. Please contact your account manager for more information. When auto messages are enabled, they are all enabled by default and all have the default text. It is advised to review them immediately and modify them to suit the brand’s needs. Once auto messages are enabled, the SDK does not show toast messages which were presented in the past. Introduction message from the consumer’s first ever conversation. Make sure you do not have a collision between that message and auto messages. When there are unread messages waiting for the consumer within the brand app, this information can be pushed to display in the app’s notification badge. Within the app, brands can develop their own visualization of a badge, such as a number, icon or other marker to show unread messages. The unread messages number is passed to the SDK through LP Push service with every push. IMPORTANT​ ​NOTES​​ : The number of unread messages are fetched by the API from the pusher regardless of whether it’s registered to the LP push service. This API method uses a threshold mechanism of 10 seconds from the last time the badge retrieved from the server. If calling this method within less than 10 seconds, the counter will be returned from cache otherwise, it will be fetched again with new data. Backend​ ​update:​ This feature requires an update to the backend. Backend​ ​enablement​: This feature requires items to be toggled on in the backend. Backend​ ​configuration​: This feature requires configuration in the backend. SDK​ ​enablement:​ This feature requires items to be toggled on in the SDK. SDK​ ​configuration​: This features requires items to be configured in the SDK. To use this API, the SDK must be after initialization. These are the main feature releases available in the Mobile App Messaging SDK version 2.5 for Android. In order for consumers to enjoy the full brand experience while messaging in-app, brands are able to configure certified operating system fonts to appear in the messaging window. The fonts can be used across all elements, or only for the font within the message bubble. The SDK also supports the use of a brand’s own customized fonts (although these are not certified). A new method of listening to LP events has been added. This method allows the host app to register to receive a specific action or to receive all of them. All of the actions match and correspond to the existing callback method. LivePerson recommends using the SDK’s Broadcast Receiver to receive these intent actions, as this system allows the user to listen to specific actions, and is not reliant on the SDK’s life cycle. Note: Brands can still choose to use the callback method, which remains valid and supported. To ensure that consumers using tablets can connect with brands while enjoying the tablet experience, Mobile App Messaging is now supported on these devices, in window mode and activity mode, and in both portrait and landscape layouts. All supported devices have gone through automation tests and all certified devices have gone through both automation and manual testing. The user experience when connecting to the app has been significantly improved. When users first log-in, and during all subsequent attempts, the login process is now much smoother and faster. In addition, other aspects such as feature and conversation history will also be more rapid as a result of the improvements. All Actions are defined in the LivePersonIntents.ILivePersonIntentAction Interface. All additional data is provided using Extras on the intents and defined in the LivePersonIntents.ILivePersonIntentExtras Interface. The LivePersonIntents class provides several methods that help extract the data from of the intent, without dealing with the Extras. For more information on this API, please refer to the deployment guide. These are the main feature releases available in the Mobile App Messaging SDK version 2.3 for Android. Presence enablement for photo sharing provides consumers with the ability to receive notifications while uploading a photo, whether they remain within the app or keep it running in the background. The Web Socket remains open for a maximum of 5 seconds when the app moves to the background. This scenario is also applicable for non photo sharing flows. When there are unread messages waiting for the consumer within the brand app, this information can be pushed to display in the app’s notification badge. 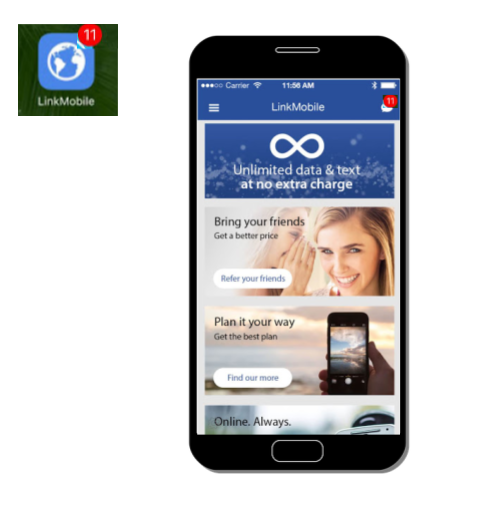 Within the app, brands can develop their own visualisation of a badge, such as a number, icon or other marker to show unread messages. 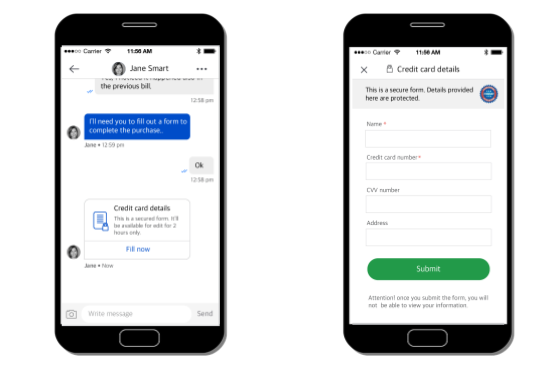 The secure form gives consumers the confidence to submit sensitive information, such as credit card data and social security numbers, while messaging in-app. The form also enables agents to safely carry out secure processes, such as payment, identification and authorisations. The form can be tailored to match the Mobile App Messaging experience and has a time-out expiry, for added security. This feature requires consulting services support. For more information, please refer to the LiveEngage ​secure form for messaging documentation​. context A context from the host app. data A Bundle that contains the message. The bundle should hold a string with key named "message". showNotification Used to instruct the SDK to either show or not show a notification to the user. If you wish your app will handle the display of the notification you can set this as false. All incoming push messages are received by the host app. 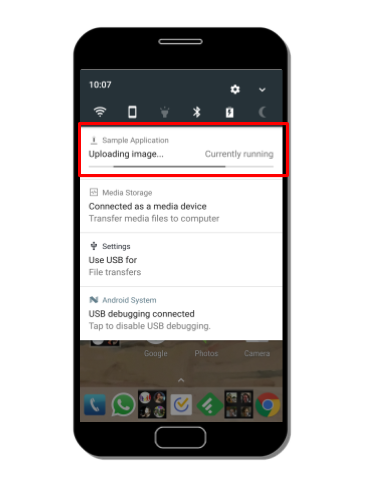 The host app can choose to fully handle any push message and display a notification message, or partially handle it and allow the SDK to display the notification. In a case the host app decides to show its own custom notification, it can call handlePushMessage() with the ​showNotification​ parameter set to false and will parse and return a PushMessage object. In case the push message is not related to the SDK, it will return null. Note: For the unread messages feature to work correctly, the host app must call this method upon receiving SDK push messages (whether showing a custom notification or not). This returns the counter of the unread messages to the number of push messages received. This number is set to 0 when opening the conversation screen. Please use the above ​handlePushMessage()​ method instead.